In a move many are heralding as the first step towards intrusive video ads, Facebook announced yesterday that videos in your news feed will start playing by default without you needing to click them first. In fact, Facebook has already done a lot of that exploration. 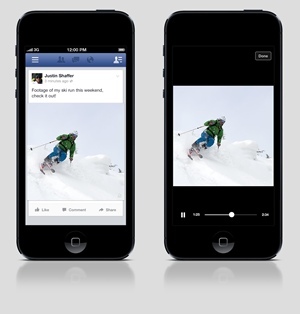 According to the Wall Street Journal, Facebook plans to start placing video advertisements on the social network “as soon as this fall.” Under the proposed idea, companies would fork over as much as $2 million to make sure you see three, 15-second video ads per day via both web and mobile. The move could prove highly controversial for Facebook at a time when the company’s ads are getting larger in size and exponentially more intrusive. Already, the FTC is investigating the social network over a proposed plan to use your face in advertisements without offering you a way to opt out. Throw auto-playing advertisements that chew through your mobile data plan into the mix, and some Facebook users might be tempted to give up the site for good.